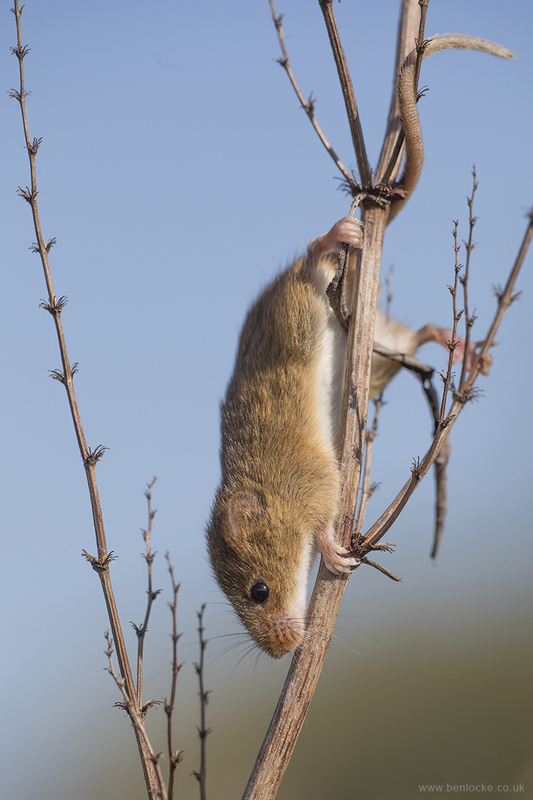 The harvest mouse is the only British animal with a truly prehensile tail that can be used as a fifth limb. When wrapped around a stem it can act as a brake or anchor. This makes it very nimble travelling and feeding in stems of cereals and grasses. They have a remarkable ability to sense vibrations through the soles of their feet. Larger animals in the vicinity can be sensed by vibrations passing through the ground and up the plant on which the mouse is feeding.